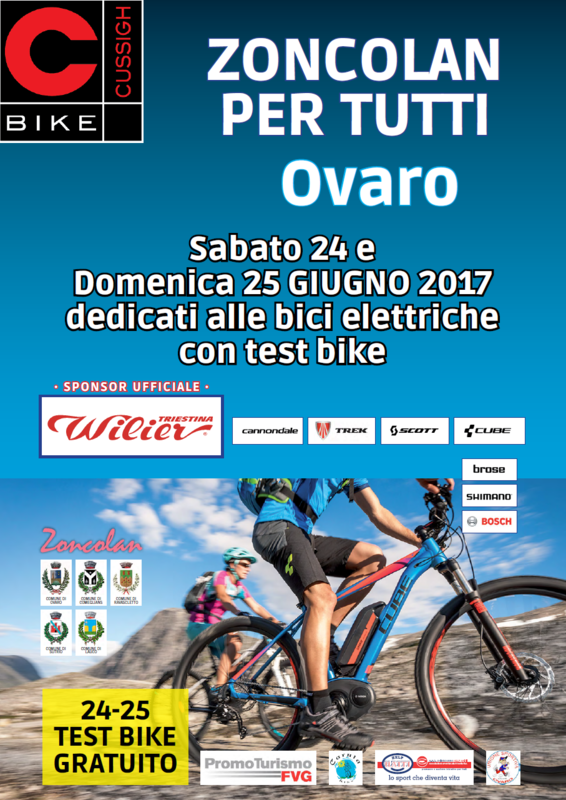 On Saturday 24 and Sunday, June 25, 2017 in Ovaro (UD) will be held an event entirely dedicated to the world of E-bikes. On Saturday 24 and Sunday, June 25, 2017, a free Bike Test will be held with Wilier (Scott, Trek, Cannondale and Cube) sponsors, who will provide many models to test on 3 ad-hoc (city- Trekking, mtb entry level, mtb full). On Sunday, June 25, 2017, departing at 9.30 am, there will be a climb to the famous Mount Zoncolan, one of the toughest climbs in the world. During the route there will be a set of rivers and charging points to allow everyone to enjoy the ride in peace. In the afternoon, bike tests will continue. The registration ends at the end of the 150 participants, the participation fee is set at 15 euros including pasta party, event gadget and photo memo. 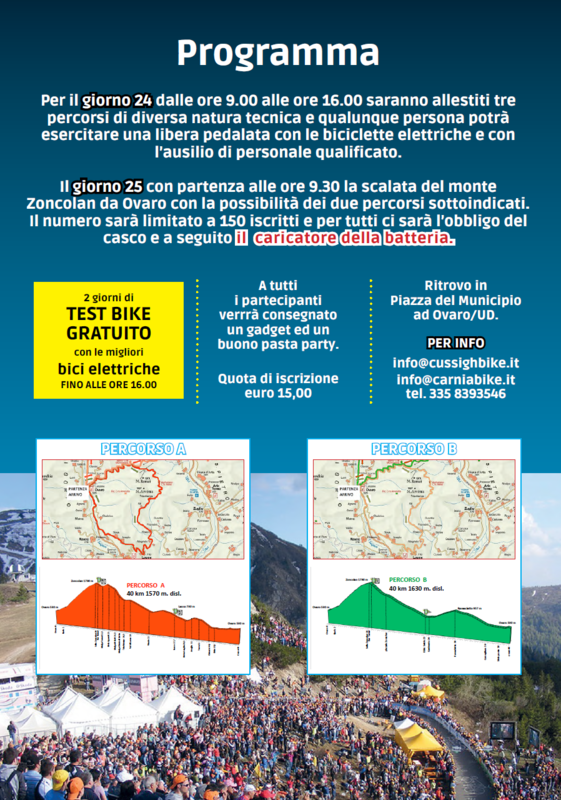 For this important event Albergo Diffuso Zoncolan will apply a 10% discount for all those who would like to stay at one of our lodgings, lodgings in three different municipalities, Ovaro, Raveo and Prato Carnico.